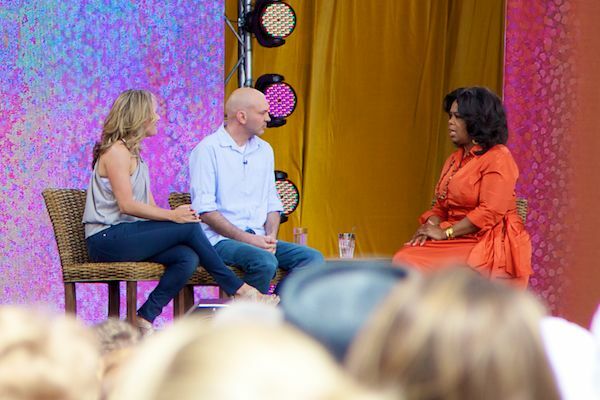 I have to say I am still on a high from my day with Oprah yesterday. I am sure anyone who attended the shows will agree it was an amazing experience. 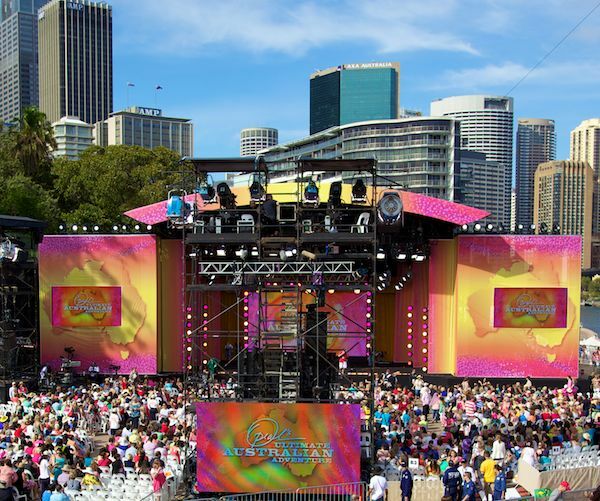 Just look at the sun shining on that city skyline next to the stage. We have more images below and news of one of our favourite baby and kids stores who received a visit from Oprah herself. I managed to sneak into the intimate press conference that was held before the morning taping. 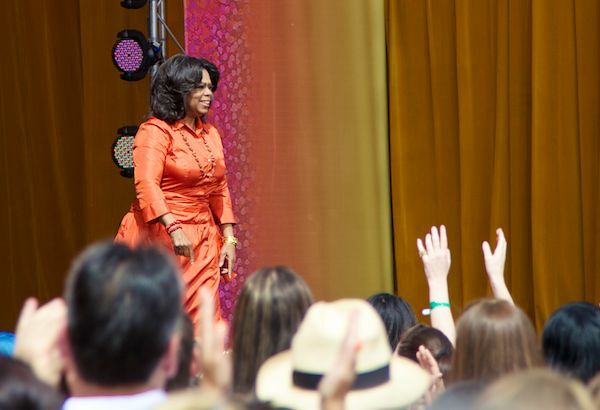 Oprah raved about Australians and how friendly and inviting we are, and how she can’t wait to come back to Australia. 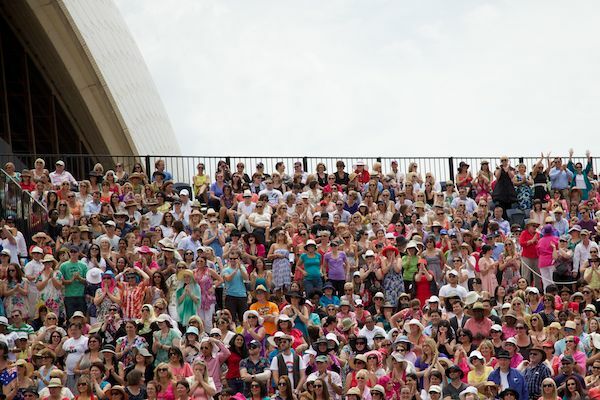 This is just after Oprah arrived on stage and the crowds went wild. 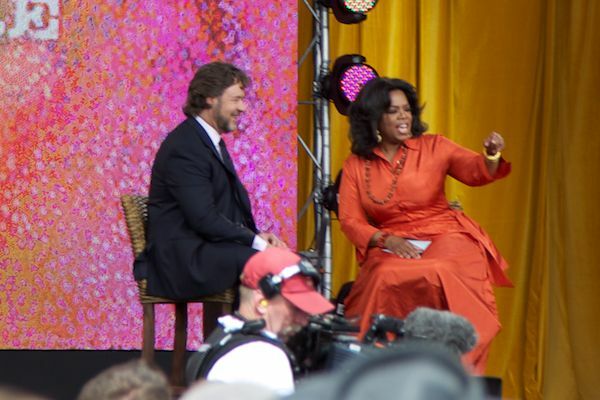 Here Oprah’s chatting with Russell Crowe about life in Australia. I was impressed to hear Russell only owns property in this country, one in Woolloomooloo and a place in the bush. This is his home and this is where he likes to spend most of his time. 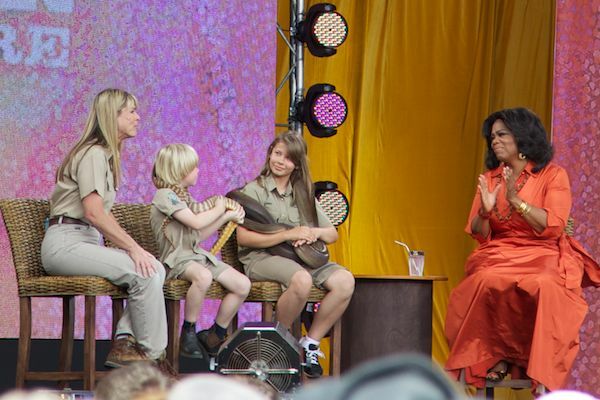 Oprah and the Irwins on stage talking about the late Steve Irwin. There was not a dry eye in the house when little Robert talked about how much he misses his dad. Australian father Kristian Anderson and his wife Rachel received a gift of $250,000 so they can take time off to be together as a family while Kristian undergoes treatment for cancer. This was an emotional moment for everyone. Bon Jovi were fabulous. 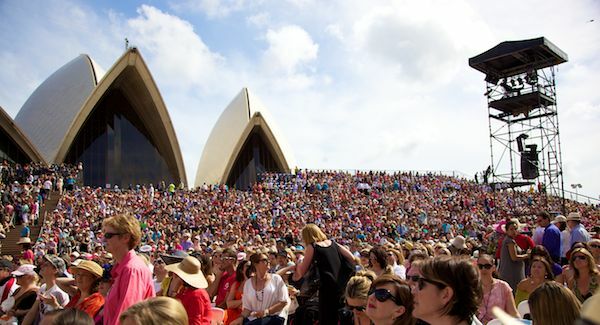 To hear them play while sitting in the sunshine at the Sydney Opera House was such an incredible experience. Here is a clip from the performance yesterday. If anyone watched the Channel Ten Oprah interview last night at 7:30pm, you would have noticed Oprah made a personal visit to one of our favourite baby and kids stores, Bebe, in Melbourne’s South Yarra last week. 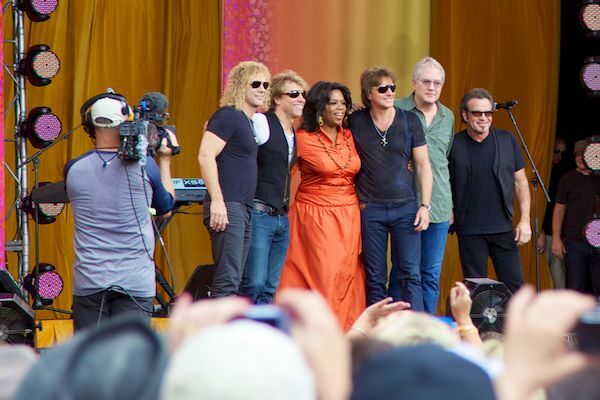 The owners were able to spend some quality time with Oprah and we will let you know more about what she was doing at the store when the shows air in January.